Annie Pootoogook’s legacy: her truth. 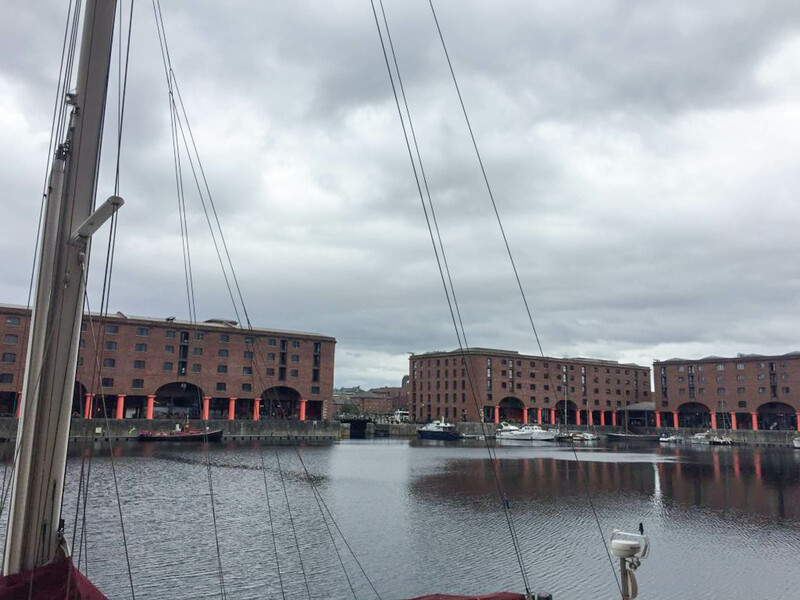 Feheley’s own Elyse Jacobson had a homecoming of sorts while visiting the Liverpool Biennial. Elyse was retracing her own journey into Inuit art, originally inspired by Annie’s work. It is stunning to watch the rest of the world marvel at the raw expression of reality that’s at the root of all of Annie’s drawings – work that has been celebrated in our own country but has remained largely unknown to many outside of our borders. Pootoogook’s first international exposure was back in 2007 at the prestigious Documenta 12 exhibition held every five years in Kassel, Germany. There, Annie was one of just over 100 artists who were invited to showcase their work from around the globe. Today, Annie’s art is again at the forefront of contemporary art, as part of the “Beautiful World, Where Are You?” Liverpool Biennial that runs through October 28. 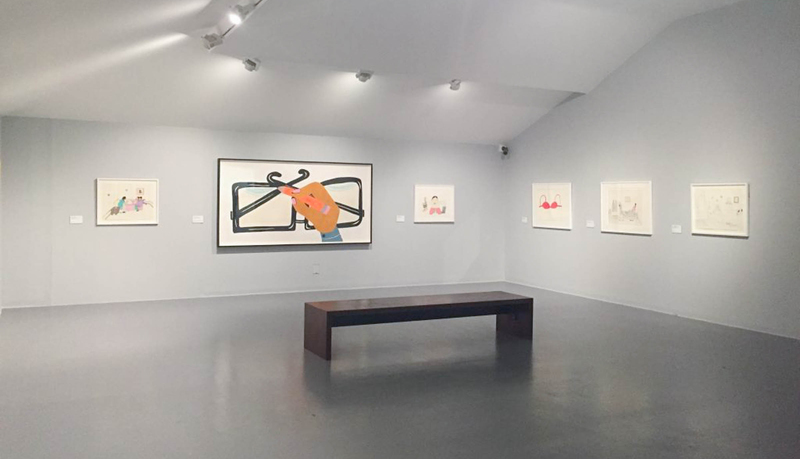 The Pootoogook exhibition is housed at the Tate Liverpool – a dramatic setting for a dramatic show. The Biennial chose to present artists whose work confronts uncertainty, challenging the hard part of their reality. Annie Pootoogook’s drawings show her reality of living in the North, exploring issues of drug abuse and violence. The drawings also give us a window into everyday life in the North. Annie’s work is what got me hooked on Inuit art. I sat in the exhibition space with the drawings, remembering how I used to study them in University. I consider her work to be honest, and without pretense… and it shows. Annie showed both the good and the bad sides of life in the North, having said that she in no way sugar coated the bad. Her work is confrontational, sometimes challenging to look at. I sat for a while watching people interact with the work and react to the work. Many people hadn’t heard of Annie, nor did they know anything about Inuit people living in the North. They looked at each drawing carefully. The nature of her work is intimate, forcing the viewer to look closely to gain an understanding of the story. Most of the installations at the biennial were video-based installation – only a small handful were other media. For all these reasons, Annie’s work stood out. 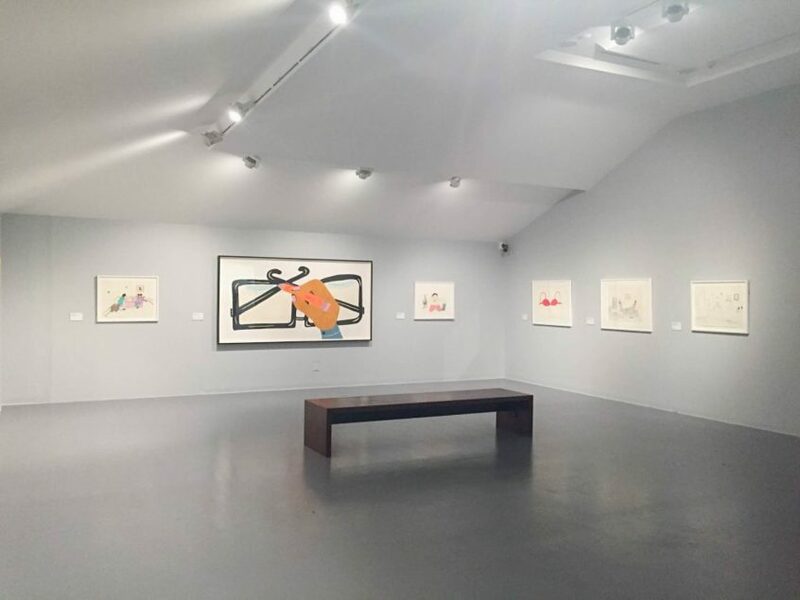 Annie Pootoogook’s drawings at Tate Liverpool serve as a diary of the artist’s life and are indicative of the sulijuk (‘true’ or ‘real’) tradition. Pootoogook worked with a singular clarity of vision, often depicting poignant moments of emotion or violence in intimate domestic environments. Immediate and direct in style, her drawings chronicle the everyday events of modern Inuit life in the small community of Kinngait as she saw it. Her realism is at odds with the traditional outdoor scenes that people have come to expect from Inuit art. And Liverpool isn’t the only place you’ll find Annie’s work these days – the latest issue of the Inuit Art Quarterly features Annie and her work right on the cover. It only adds to the tragedy of Annie’s life that this kind of recognition comes posthumously. The Annie Pootoogook exhibition continues at the Tate Liverpool until October 28th. All images courtesy of Elyse Jacobson.